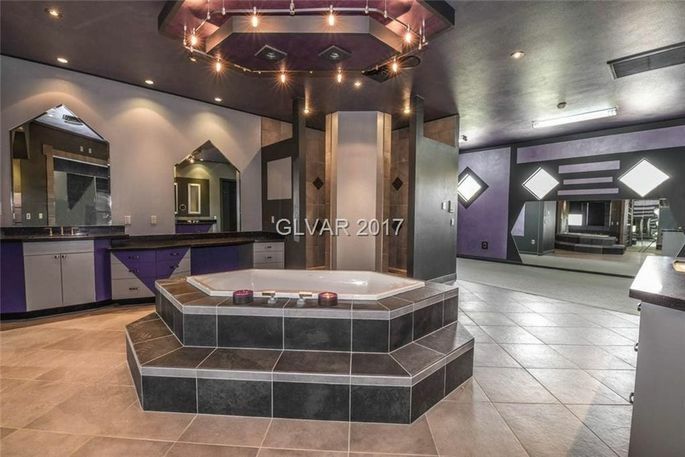 The famous “Purple Palace” might be one of the most unusual homes in Las Vegas, which is saying something for Sin City. Now the home with the great grape decor is on the market for $1.4 million, and it’s experiencing mad interest, according to listing agent Zar Zanganeh of Luxe Estates & Lifestyles. 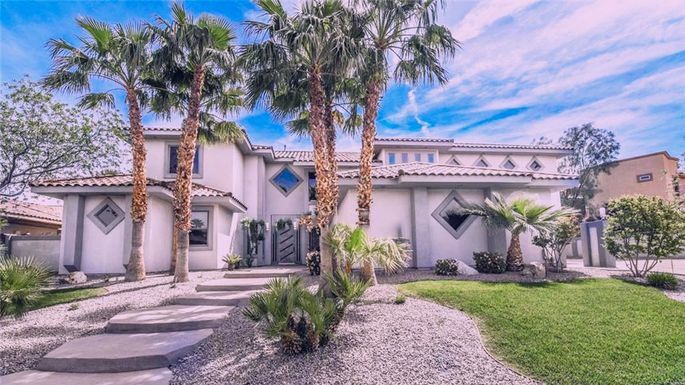 This mansion could also be one of the most misunderstood properties in Las Vegas. First of all, Zanganeh points out, it’s not all purple—it’s gray with purple accents. But when it was originally built, not only was the house completely purple, but everything in it was purple as well, from the hangers in the closet to the dishes in the cupboards. The violet hue was a romantic nod to the favorite color of both the husband and wife who first lived in the home. These days, much of it has been painted over with gray. Another major misconception is that rapper Riff Raff owned the eggplant estate. Not so, according to Zanganeh. The 35-year-old musician, whose real name is Horst Christian Simco, was leasing the place with an option to buy. He decided against buying it and recently moved out. He also christened the place “The Codeine Castle,” which really isn’t an affectionate term an owner would use. Unflattering moniker or not, there’s no shortage of potential buyers wanting to look at the 5,945-square-foot heather-hued hacienda with five bedrooms, five baths, and two half-baths. Zanganeh notes that with NHL and NFL teams on their way to Las Vegas, and with Nevada’s beneficial tax policies, athletes and team executives see Vegas luxury homes as stellar investments. So what exactly would a buyer be getting for $1.4 million? There are no halls, walls, or doors in the main area. 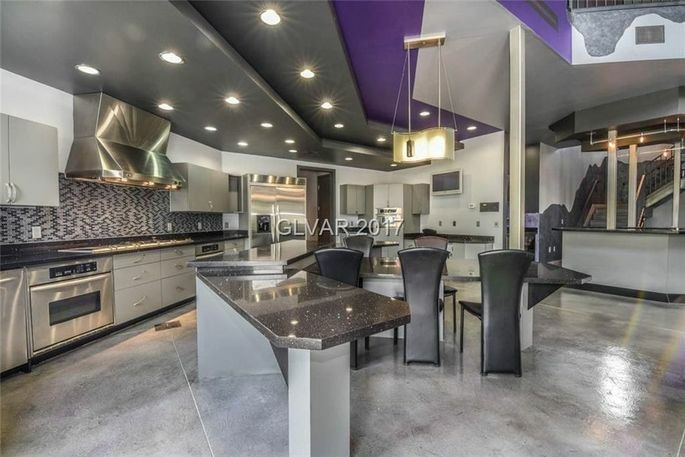 The concrete flooring, stainless-steel details, and high ceilings also give this lavender living space an industrial glam feeling. There’s also an immense 1,500-square-foot master suite with exercise room, sitting room, wet bar, and balcony overlooking the backyard. The oasis out back includes a beach-entry pool, grotto spa, swim-up bar, three cabanas, and purple waterslide. The home is located in Spanish Hills, which is the neighborhood for celebrities. Zanganeh’s company has handled homes in the area for LeBron James, Bette Midler, Nicolas Cage, and David Hasselhoff. And believe it or not, this violet villa is only a starter home in this 105-home luxury community. Zanganeh says he recently sold a nearby 19,000-square-foot home for $6 million. 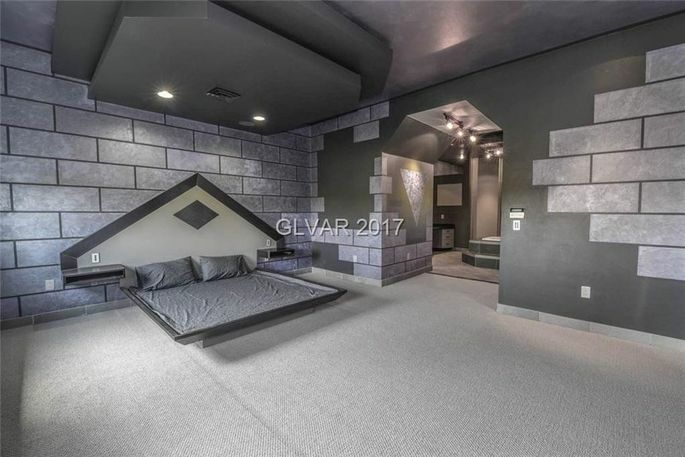 So if lavender is to your liking and you’re looking to gamble, it might be the right time to go all-in and make an offer on this distinctive Vegas pad.